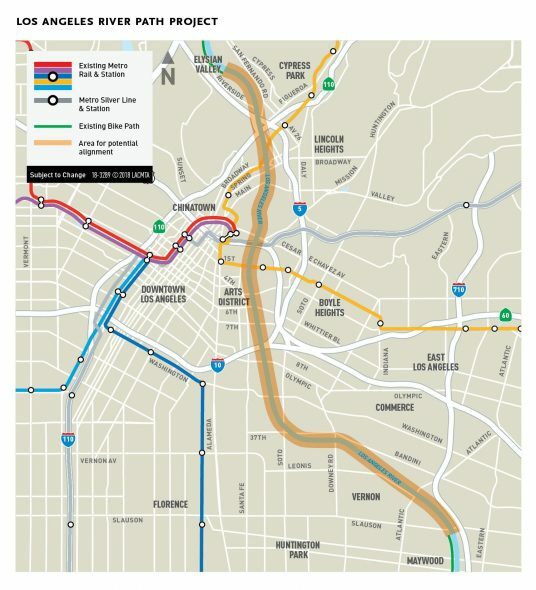 The LA River Path will be a transportation corridor and community link. By completing the 8-mile gap in the walking, bicycling, and rolling path along the river, neighbors and people across the region will have access to a continuous 32-mile path from the San Fernando Valley to Long Beach that will create access to opportunity and community destinations. We want to create a new path that will benefit you and your community, so we need your feedback! Tell us what you’d like to see for the LA River Path and be entered in a raffle for a $100 gift card. A path that relies on nature not the MTA or anyone else attempting to create a false facade and call it nature or how nature should be. So no painted two lane bike paths or the use of concrete or asphalt. Thats not nature, thats Disneyland!! I believe that the path is more than a “gentrification”, it is history. The fact that you are going thru the la river area,whwre 12 foot tall mommoths and 5′ tall dire wolves roamed is worth our focus. the juxtposition in that dowmtown area is priceless. Lets try to remember the 4;5″ girl who lived in beverly hills “la brea tar pit” LA has history and sharing and community must be part of how we represent ourselves as an internationl city. Make it pretty, but don’t gentrify the area please, plain and simple.